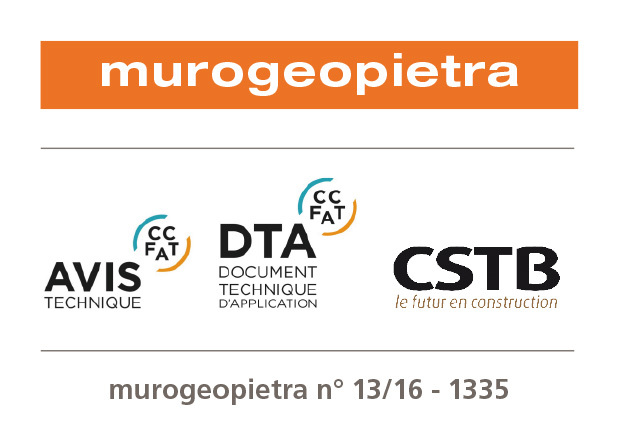 Murogeopietra system has brilliantly passed all the tests on materials and installation procedures requested by the French public authority CSTB / Centre Scientifique et Technique du Batîment. It also obtained the Technical Evaluation (Avis Technique) and the Document Technique d’Application (TDA) by the committee (CCFAT) for the use in original construction methods. murogeopietra and mastrosistema on Fassa Bortolo insulation system has brilliantly passed the 8 phases of seismic stress required by the French public authority CSTB. Regulation establishes the essential requirements applicable to buildings and civil engineering in an earthquake zone and provides the rules to represent seismic actions and their combining with other actions, in order to safeguard lives in case of earthquake, to limit damages and permit to civil protection’s most important structures to remain safe. 1. Wall installation on the machine simulator. 2. Execution of the 8 phases of the seismic stress test. 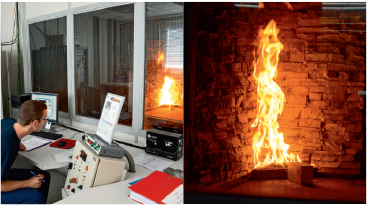 Herewith we report soma data regarding the fire test made on wall covering murogeopietra installed on 160 mm external thermal EPS insulation; this test confirms murogeopietra as a not flammable material and attests a complete lack of toxic smoke development. This means that murogeopietra protects the undelying insulation against heat , so that sublimation is avoided during the time necessary for evacuation. 2014 -ACCELERATED AGEING on exterior thermal insulation. murogeopietra is known and appreciated for its unequalled aesthetic qualities, and can add numerous benefits to the efficiency of buildings. murogeopietra expresses its best technical properties in the cladding of external thermal insulation systems and enhances its overall performance. 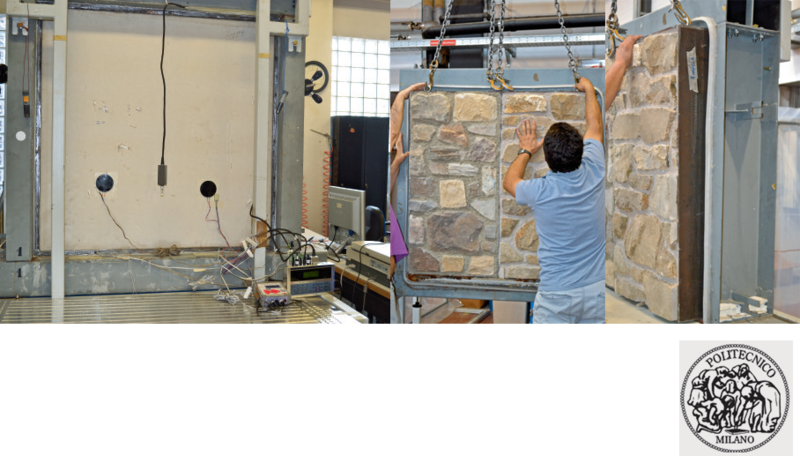 GEOPIETRA creates the most believable eco-friendly manufactured stone veneer in the world. Rigorously made from natural raw materials, each stone is coloured manually and transformed painstakingly into a highly crafted product, which is always unique. It is then laid skilfully to achieve excellence with an inimitable aesthetic result. Murogeopietra is marketed as a single integrated system. It uses the Geocoll levelling glue system, state-of-the-art laying of the GEOPIETRA cladding on a previously prepared substrate and the application of the GEOBI two-component mortar. All these materials have been developed in complete synergy according to modern construction requirements. Geocoll levelling glue has been specifically formulated to suit the laying properties of GEOPIETRA manufactured stone veneer (weight, absorbency and breathability), and perfected to enhance laying performance and lifetime on any type of substrate and especially on external thermal insulation. 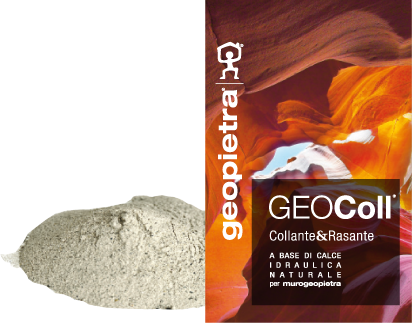 Suitable for indoor and outdoor use, GEOCOLL contains natural hydraulic lime, which gives high fluidity, no vertical slippage, breathability and good mechanical properties.